When you finish reading this, you'll be such a smart San Francisco tourist that you'll enjoy your trip more and spend less of your hard-earned money doing it. Browse through the 12-part San Francisco Vacation Planner: It will bring you more tips than we can give on this one page. Know the Weather: Many San Francisco tourists don't realize how cold San Francisco feel in summer, and dozens of cheap sweatshirt shops are thriving because of their ignorance. Maybe you wanted that souvenir shirt anyway, but your trip will be more comfortable if you know that the average low in June and July is in the mid-50s or that's it's sunnier in October than in May. Stay in the Right Place: People sometimes ask about hotels along Van Ness and Lombard Streets, but they're not ideal: inconvenient and sometimes noisy. The best areas in the city for tourists are Union Square and Fisherman's Wharf. Spend Smart: Discover 8 surprising ways to save money in San Francisco. It includes how to save on transportation, attractions, tours, and hotels. Go Car-Free: It's not just an environmental statement, it's a smart choice. San Francisco is small, and most tourist sights are close together, so you don't need one to get around. Even worse, some hotels charge more than the price of a nice lunch just for parking. If you think you'll just park on the street, snagging a spot there requires more luck than a box of that sugary breakfast cereal with those little chalky marshmallows in it. 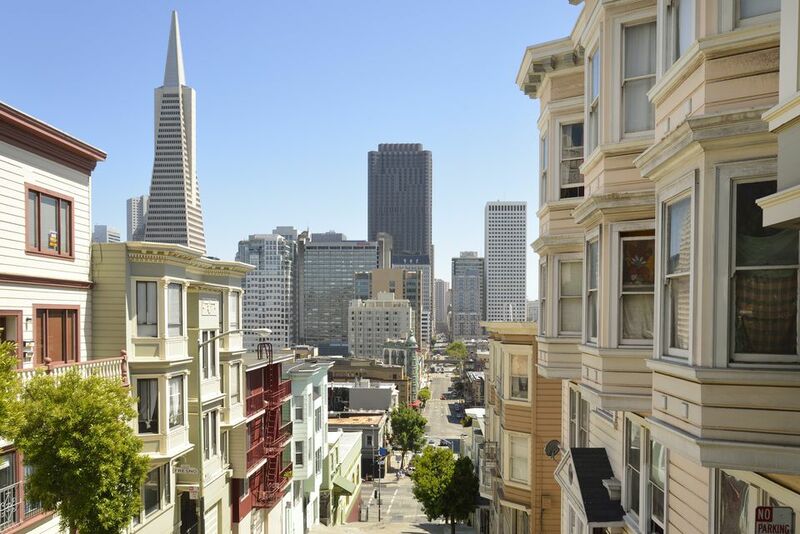 Pick a hotel in a convenient area (Union Square or Fisherman's Wharf), use public transportation, Uber or taxis, and rent a car for just one day if you want to take a side trip. Make Reservations for Alcatraz Island at least two weeks ahead. Tours fill up fast, and it's best to reserve ahead of time online. Next best: try your hotel's concierge or go to the ticket office as soon as they open on the first day of your visit to avoid disappointment. Beware of tours that say they include Alcatraz but only take you sailing past it. Pick a Good Tour Guide: If you're inclined to take guided tours, avoid the big buses. Their tours are canned, your options restrictive and sometimes their guides are just plain wrong. Instead, take a free walking tour with City Guides or engage a small, local company to take you on a private tour. I recommend two excellent tour guides, both of whom are my friends: Rick Spear at Blue Heron Tours or Jesse Warr at A Friend in Town. Eat Great Food: You're in a city full of restaurants rated among the world's best, but don't assume they're all too fancy and expensive for you. Don't be a typical San Francisco tourist either: the one who settles for the tired, mediocre Fisherman's Wharf restaurants or the even more tired garlic-laden dishes at Stinking Rose. Research online, ask your hotel for suggestions or see what others you meet have to say. Get on the Cable Car Faster: Don't stand in the endless line at the stop on Hyde just below Ghirardelli Square. Instead, head to Mason and Bay Streets, where lines are much shorter. You'll end up at Union Square on either line. If you just want to ride for the fun of it, get on the California line where California Street intersects Market near the Ferry Building and get off at the top of the hill in Chinatown. The big hill on this route is a thrill and crowds are much smaller. Be Curious. Look Deeper: Don't just stand there looking at the boats in Fisherman's Wharf. Walk toward the water from anyplace you find an opening and see what the wharf is really like. In Chinatown, resist the urge to shuffle down Grant Street and branch off onto the side streets and into the alleys using the self-guided Chinatown tour. Walk on the Golden Gate Bridge: Looking at the Golden Gate Bridge and not walking on it is like looking at an ice cream sundae and not eating it. To get the authentic feel of this iconic landmark, stroll the sidewalk, even if you only go out a little way. Get all the details about how to do it and where to park in the Golden Gate Bridge guide. If you decide to drive across instead, you need to know how to pay your tolls because the human toll-takers have been replaced with an electronic system.